CRUK 2016 – Relay for Life :- Members of Stuarts Property Services Ltd and family members participated in the 11th Relay for Life Stockport event to raise funds for Cancer Research UK. 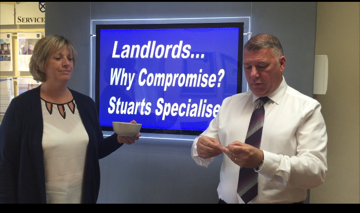 Being passionate supporters of this worthy charity, the directors of Stuarts Property offered a donation based draw to all landlords with a chance to win a free letting fee. Stockport Relay for Life has recently won a global award for being ‘event of the year’ and we are proud to be associated with such a wonderful event. The weather was NOT kind to us on Saturday when we set off with our 24 hour walking relay, but nothing dampened our spirits and thanks to MANY of our landlords and tenants donating to our fundraising page, we are delighted to announce that our team raised in excess of £12, 700 this year – More monies are continuing to be donated so this isn’t the grand total yet and more fundraising events are already in the planning. CONGRATULATIONS TO ALL OF OUR LANDLORDS WHO HAVE WON ! Not forgetting that each and every landlord who participated also will get a 10% discount on their next letting fee.